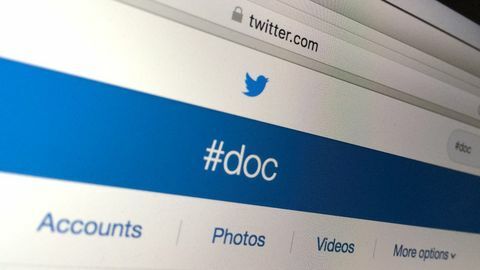 Twitter has been popular with the diabetes online community (#DOC) for a number of years. It is a kind of fast-moving online conversation made up of short messages or 'tweets' in which people can share how they are feeling, or links to articles, blog posts, photos and videos. One of the things that keeps Twitter moving rapidly is that messages are limited to 280 characters. Once you have set up an account you can begin following people and people can follow you (or you can choose to keep your account private). Their tweets will then appear in a stream on your smartphone app or web browser. You can reply to a person or people by adding their username in a tweet (eg @t1resources). People who follow each other also have the option of sending direct (private) messages. For a practical example of how the immediacy and question-and-answer style interaction of Twitter can be useful, please see Kev Winchcombe's leaflet in the 'Downloads' section below. Hashtags are sequences of characters (with no spaces or punctuation) with a '#' in front of them which automatically act as search flags. Hashtags are clickable and allow you to see a stream of tweets collected together on the same subject. Tweet chats can be a great way to find a collection of interesting T1 Twitter accounts to follow and connect with. They happen weekly or semi-regularly and consist of a number of people gathering for an hour to discuss organised topics. It can be useful to use third-party services (eg tchat.io or tweetchat.com) to keep up with the speed of the conversation. Alternatively you can just sit back and watch it unfold by following the hashtag in a Twitter search. #GBdoc runs tweet chats in the UK with volunteer hosts coordinating discussions through @GBdocTChost, while #ozDOC (in Australia) runs a tweet chat that happens around UK lunchtime. #dsma has a regular tweet-chat in the US which happens in the early hours of the morning UK time. Here are just a few Twitter accounts to get you started. You could also consider the Twitter accounts of the people behind T1resources.uk which are listed in their biographies.